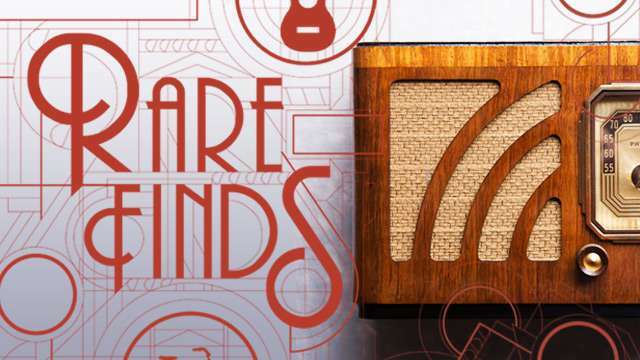 An average non-working tube radio can cost you P2,000 to P3,000. But if you are a serious collector like our Guillermo, of course you would want to buy working tube radios of older models because not only is there more soul to the sound it produces, they are also very rare nowadays, making them highly collectible. 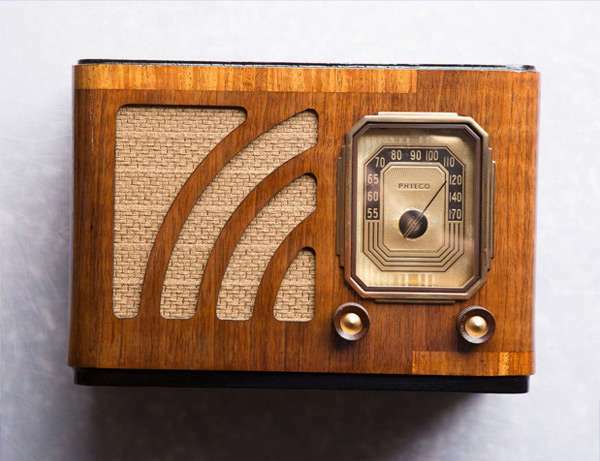 But it comes at a price: tube radios from the early 1900s to 1920s can cost between P50,000 to P80,000. 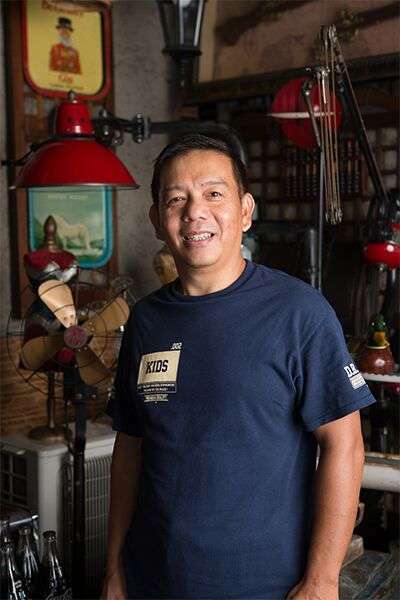 Just like many other collectors, Guillermo takes pride owning a particular item, specifically the 1930s RCA Radiola 17, which he bought for P55,000. It’s a rare piece because it had a short run in the market from 1923 to 1928, so very few of it still exist. “Having this specific piece in my house, make me happy. I really treasure it,” he says, beaming with pride. CRAZIEST COLLECTOR MOMENT: “Kapag kunwari day-off ko, imbis na magpahinga sa bahay, I can spend an entire day in antique shops in Ermita just looking at blades. “Functional piece of art siya. Useful and at the same time beautiful. 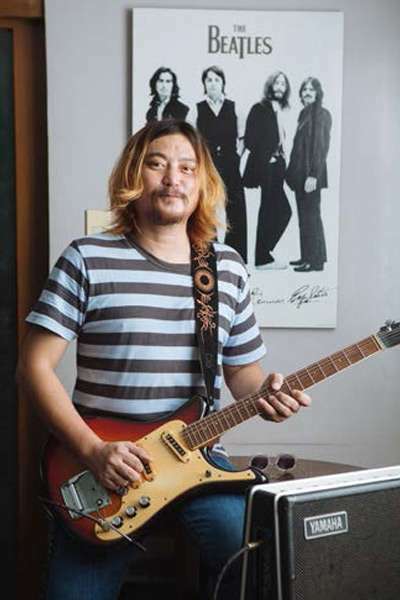 Tapos in itself, parang mayroon na siyang dangerous charm, kumbaga,” says Ebora. Today, he already has around a hundred blades, 60 to 70 of which are regional blades coming from different provinces from Luzon, Visayas, and Mindanao. Ebora started this hobby in August 2015 with the “palengke knives,” as he called it—those that cost P300 to P500. Later on, he started digging deeper and deeper into a particular blade’s back story. 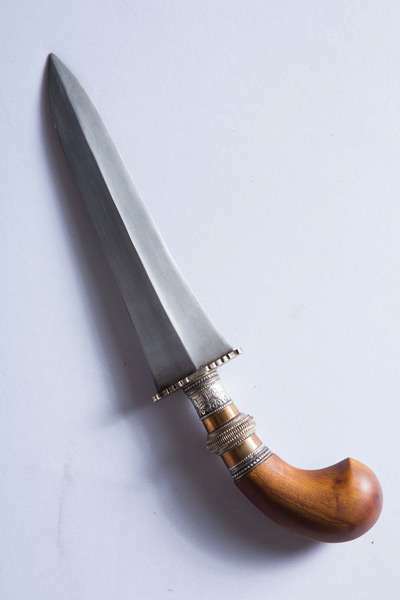 He can talk to a blade smith all day long, discussing about a particular knife or sword. 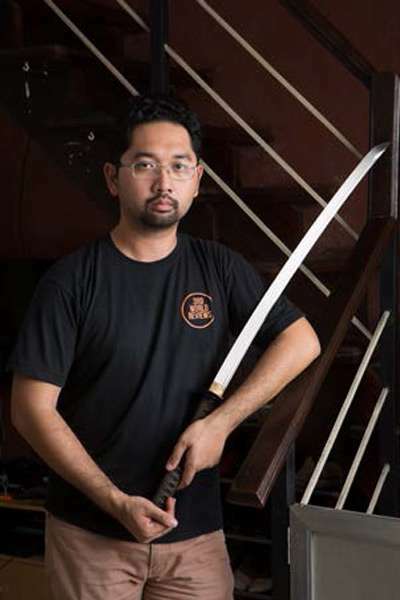 While he has blades from Luzon and Visayas, he highly prefers blades from Mindanao. “Ang gawa sa Mindanao from the 1800s to 1900s, bakal siya, may crisscross pattern. Ang ganda na matigas ‘yung cutting edge niya tapos medyo matigas but softer ‘yung loob, which enables it to flex, kumbaga panglaban talaga siya,” he shares. 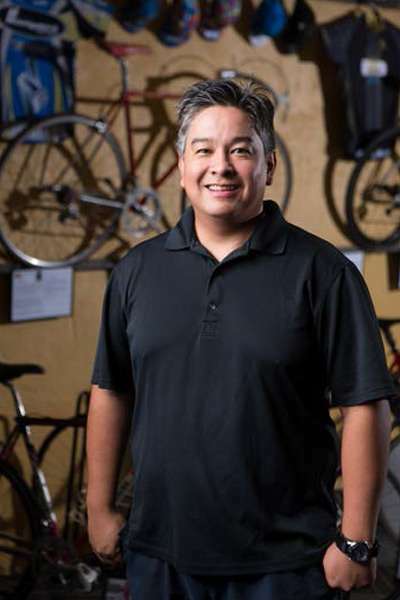 Former pro cyclist Anthony Balaguer has a barn on his property that he has transformed into his personal bike gallery, all steel and handmade. There is an Eddy Merckx MX Leader from Belgium; Vitus 979 and Look KG 196 from France; and Colnago Elegant and Colnago Master Piu from Italy. There are Balaguer’s favorite Japanese handmade steel bikes, including the Makino NJS Track, Yamaguchi Aero Road, and the Cherubim Custom Order Touring bike, among others. Overall, he has 95 steel bikes in his collection. Each bike has a framed brief description, as though it were really in a museum. To offset the decorum of the barn, he set up a coffee bar, a wooden table, and chairs. Hip-hop music plays in the background. Nice! The bike that Balaguer, 40, considers probably the rarest and one of his most special is the Richard Sachs Team Time Trial model. 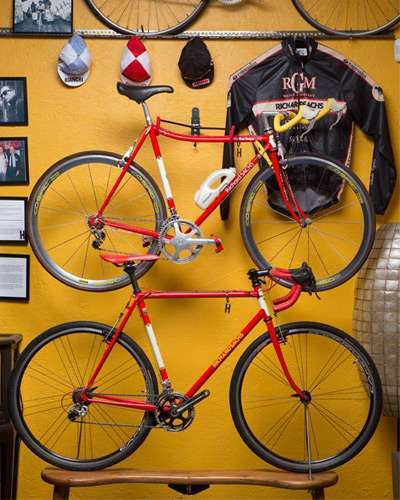 Sachs, a famed racing cyclist and framebuilder, built 10 of the bikes, all for his entire team of 10. And the price is no joke—Balaguer had to shell out $5,400 (about P273,000 at current exchange rates) for this prized possession. Balaguer collects handmade steel bikes, an obsession he began in 2006, specifically because he believes it is how “real bikes” were originally made, unlike most of today’s bikes that are of lighter materials such as aluminium or carbon fiber. “For me kasi, I collect bikes not for speed or things like that. I buy a bike because it’s made by hand, by one person only. Ganoon ka-special ang bawat handmade steel bike that I collect. are not humans. Not animals. Not aliens. Not any other living species. Here “lives” more than 500 electric guitars, each is stored in its own leather case. And nope, this is not a guitar shop. Not even a guitar museum or some sort—this is rented by singer and songwriter Iman Leonardo specifically as storage for his prized guitars, a collection he began in 2007. “Dati, doon sa apartment na ‘yun kami nakatira ng family ko dati,” Leonardo of psychedelic pop band Prank Sinatra shares. “Tapos later on, nadadagdagan ‘yung guitars ko, napapansin ko na ‘yung mga anak ko ay gumigilid na sa paglalakad. Tapos ‘yung TV namin, medyo malaki ‘yun eh pero later on ay lumiliit na ‘yung nakikita naming screen kasi natatakpan na pala ng guitars.” So when the unit beside that particular pad was vacated, the Leonardo family was quick to evacuate there, leaving the guitars in the first unit. His entire collection costs—wait for it—almost P15 million. 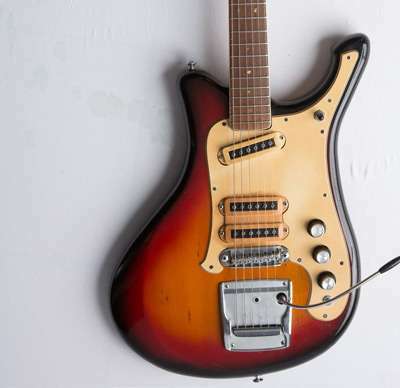 In his more than 500 guitars, 75 percent of which are Japanese models, two stand out: the Yamaha SG-7 and the Mosrite Dobro 12-String Columbia 1968, both from the 1960s. “Why not rent a second apartment unit for your guitars if space is an issue?,” we suggested. And the lesson is: Obsession trumps logic. This story was originally published in the August 2017 issue of FHM Philippines.